The City’s Concert Hall is the host to the Ural Philharmonic Orchestra founded in 1936 by the famous Russian conductor Mark Paverman. The most prominent musicians of that time – conductors, soloists and composers – worked here. However, as Sverdlovsk had the status of “closed city”, the orchestra was hidden from the rest of the world until 1991. Today, it performs around 100 concerts every year, at home and abroad. The orchestra uniting a hundred of musicians and directed by the celebrity maestro Dmitry Liss is famous for its unique interpretations of classical music. 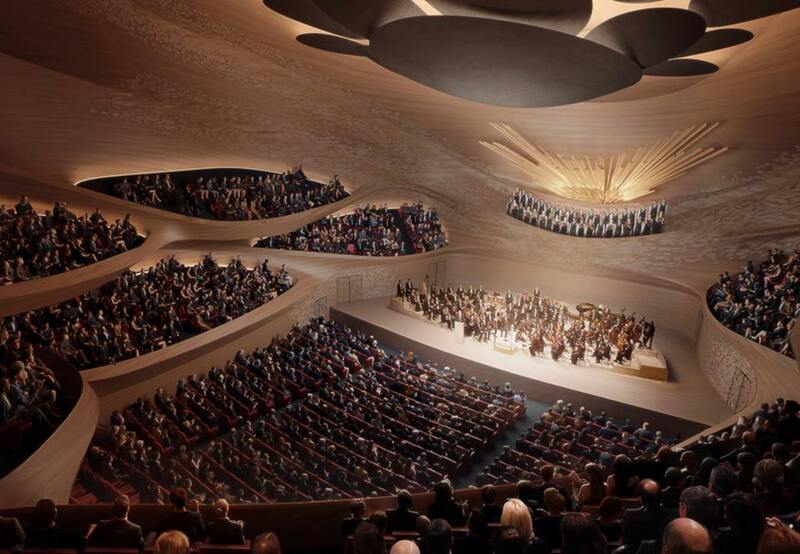 A new concert hall has been musician’s dream for a long time. In October 2017 was announced that the dream should come true, and in April 2018 architects from around the globe were invited to provide their visions and concepts. Now, top three architectural concepts (out of 47) have been revealed at the ceremonial event attended by celebrities and lokal politicians. The deputy governor stressed in his speech to the audience that Yekaterinburg is one of the country’s most important capitals, alongside with Moscow and St Petersburg. In his view this status deserves be supported by a new, modern concert hall. 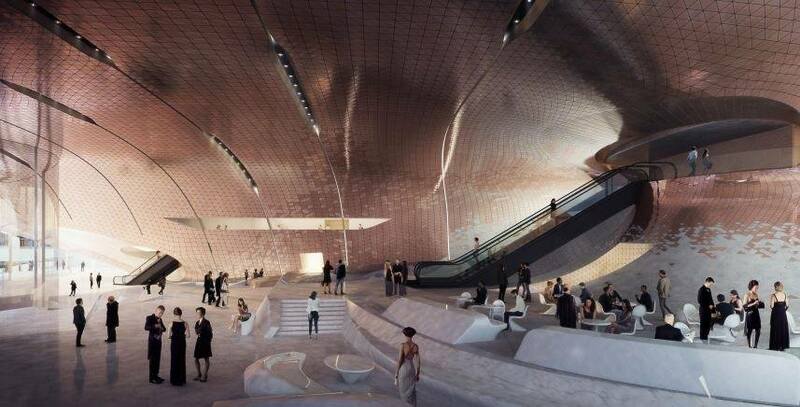 The architectural bureau Zaha Hadid Architects (UK) came on the top of the list with its concept, followed by Alvisi Kirimoto Partners (Italy) and Robert Gutowski Architects (Hungary). There is no final decision, which architectural vision will be realized, as feasibility studies are not yet finished. 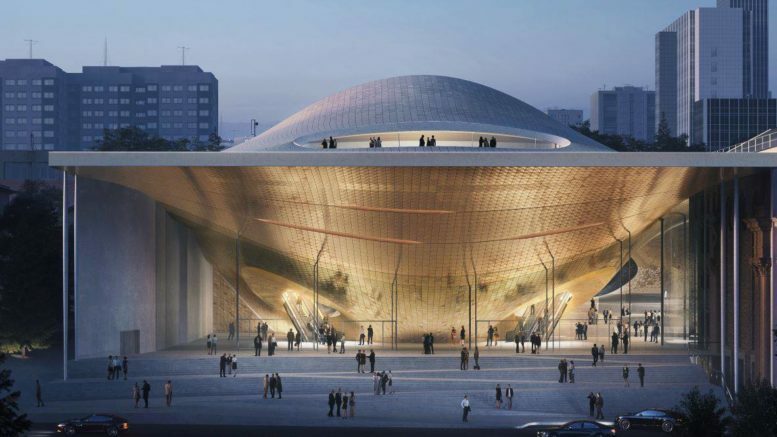 Nonetheless, we can be excited about the new concert hall in the city which will extend the list of the most famous buildings in the world. Zaha Mohammad Hadid (1950 – 2016) was an Iraqi-British architect. She was described by The Guardian of London as the “Queen of the curve”, who “liberated architectural geometry, giving it a whole new expressive identity”. 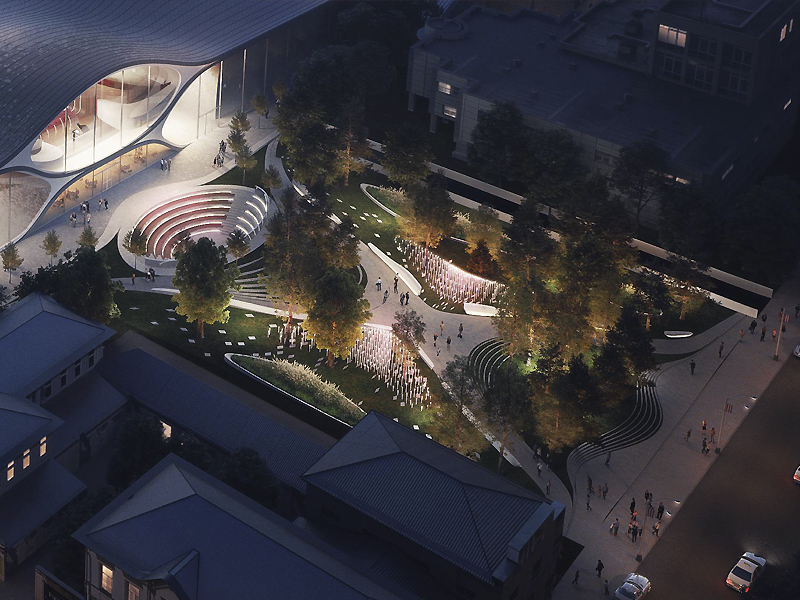 Her major works include the aquatic centre for the London 2012 Olympics, Michigan State University’s Broad Art Museum in the US, and the Guangzhou Opera House in China. Some of her designs have been presented posthumously, including the statuette for the 2017 Brit Awards, and several of her buildings were still under construction at the time of her death, including the Al Wakrah Stadium in Qatar, a venue for the 2022 FIFA World Cup. The architectural bureau founded by Zaha continues her work and traditions.